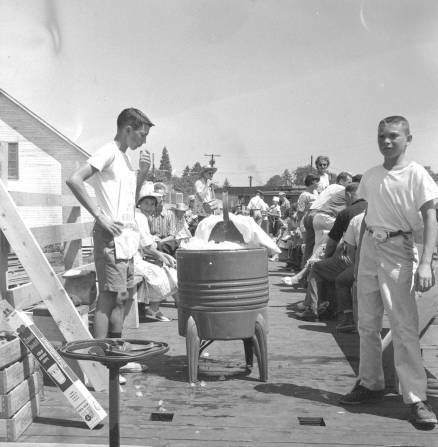 An old washing machine serves as an ice bucket on a railroad flat car on a sweltering day in Dorena in 1959. A train excursion headed up the Row River Valley on a day that reached 100 degrees. This was back before the day of the excursion train with passenger cars, so everyone sat on the flat cars and tried to beat the heat as best they could.